So what is the answer to the commonly asked question, “how do I lose weight?”. Well, quite often, the answer to this question is eating right in the first place. As most Americans are nutritionally comprised and obese from eating vast quantities of the wrong foods and little to none of the good ones. Here are some valuable suggestions for eating right, taking excess weight off, lowering blood pressure and getting rid of type II diabetes, which, if you did not already know, is caused simply by being overweight. Reduce portion size. 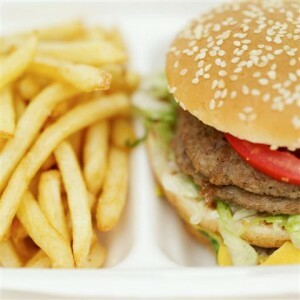 Most Americans eat excessively large portions of food, often actually to the point of discomfort. Eating excessively leaves all of the calories above that which is needed to maintain life, to be stored as fat. Eat larger meals earlier in the day, smaller ones later in the day. The last meal should be a few hours before bedtime, (~3), so as not to go to bed with food in the stomach, to be stored as fat. Eat Breakfast! This is the most important meal of the day. Skipping breakfast over the long course will cause you to store fat by burning less calories as your body goes into a calorie preservation mode as if preparing for a famine. This is probably the most common mistake made by overweight individuals. More is less. Eat 5-6 meals each day. The biggest mistake you can make is to skip breakfast, have lunch on the fly, then come home and have an enormous dinner, and then binge while watching TV until bedtime. You will easily gain 50 pounds/year on this plan. Plan 5-6 meals each day starting from when you get up. Eat about every three hours. Eating in this fashion makes you less likely to binge eat as you are not particularly hungry. It keeps amino acids in your blood stream to prevent muscle breakdown. It convinces your thyroid that there is a seemingly endless supply of for so there is no reason to go into starvation mode where your body stores everything as fat. Avoid fast foods, prepared foods, canned foods, etc. Most of these foods are void of any nutritional value from processing. As such, you are consuming empty calories, and probably large quantities of unhealthy fats and other compounds that causedisorders. Avoid fried foods, especially breaded and fried foods, which hold large quantities of the oil and thus many extra calories. 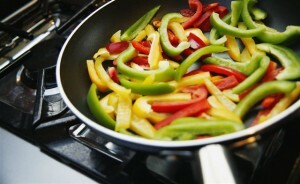 Also, when cooking with oil, always use oil that can tolerate high heat without breaking down. Coconut oil is amongst the best oil for high heat cooking. Olive oil is good for moderate heat. Extra virgin olive oil is not food for cooking and should be reserved for finishing. Avoid corn oils, vegetable oils and margarines. Canola oil also is good for cooking. Eating salads made with lots of greens and vegetables are excellent choices as they are chock full of nutrients and fiber. Avoid iceberg lettuce which is just empty calories. Greens such as mescaline, romaine, chicory, etc are better choices. Consider adding carrots, celery, radishes, onions, and other nutritious vegetables. Avoid diet dressings and other prepared dressings. Simple extra virgin olive oil, (sparingly, after all, its all fat), and vinegar or lemon is healthy. Grape seed oil has been suggested to have blood pressure lowering affects and is largely tasteless on salads. Don’t cook with this oil though, it is far too delicate. Exercise! Exercise will create more muscle and decrease unwanted fat. 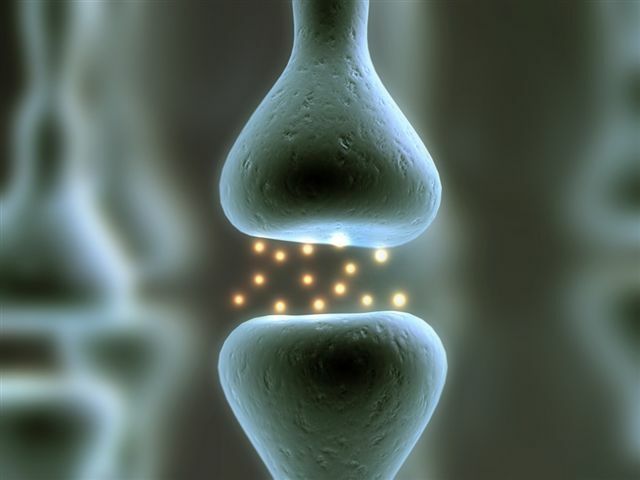 Muscle cells act as factories, fat cells as warehouses. Fat stores energy, muscle burns it. The higher your lean body mass, the more you can and need to eat just to maintain. Quite simply, sweetened and diet sodas should not be consumed, period. A can of soda, (plain seltzer excluded), contains about 40g of sugar. A typical packet of sugar contains about 4g, so that soda has about 10 packages of sugar in it. On the other hand, nutrasweet, used routinely in diet sodas, is composed of two molecules of methanol bound by an oxygen atom. If you recall, methanol is “wood” alcohol, which was responsible for blindness and neurologic problems during prohibition. So why would you put either inside your body? Few prepared salad dressings are made without containing things that they shouldn’t. In addition, they are expensive compared to making your own. Simple olive oil and vinegar or lemon juice make a great salad dressing. There are also many typed of vinegars now available to mix things up should you get bored. So make your own, get healthy and save $$. 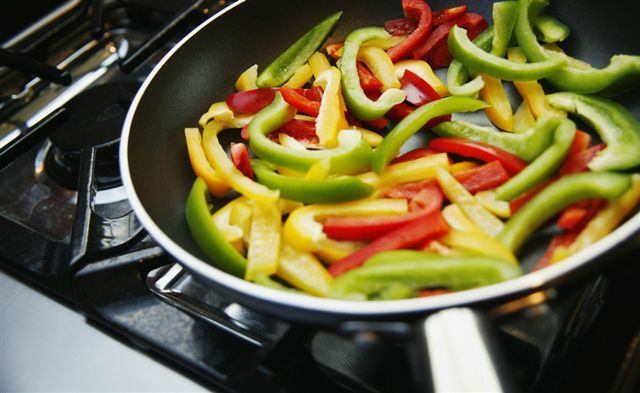 When cooking with oil, Do not use oil incapable of tolerating hight heat without oxidizing. Plain olive oil, (not extra virgin) is good for medium heat cooking. Organic virgin coconut oil is good for high heat cooking. As far as deep frying, just refer to #6 above, (don’t!). Eating yogurt can be very healthy. It can also be very unhealthy depending on what type of yogurt you are eating. Yogurt is good for you if it contains live cultures. If it has been pasteurized, it does not contain live cultures. Further, most grocery store yogurts are loaded with sugars from fruit jams. Plain yogurt, (I prier greek yogurt), and adding your own fruit in small quantities if need be is a much healthier choice. You can also use a small amount of honey, (still sugar), protein powders, etc. Reduce carbohydrate intake altogether. Cakes, candy, soda beverages, anything containing sugar, must be eliminated altogether. Fruits and fruit drinks should be avoided as they are similar in affect on your blood sugar level. Simple starches such as white bread, white rice, potatoes, corn and yellow vegetables should also be avoided as they also quickly raise blood sugar levels. If you are going to eat fruits, sprinkle cinnamon on them which helps retard blood sugar elevation. More complex carbohydrates such as long grain brown rice, whole wheat bread, etc., are better forms of carbohydrates, but still must be eaten judiciously as they still convert to sugar easily. Increase protein and fat consumption. These have the best ability to lower blood sugar levels. Protein foods include meat and fish and eggs. Fats, meaning “healthy fats”, include almonds, walnuts, avocados, (excellent choice for diabetics and very high in fiber). Low quality fats include bacon, fast foods, processed meats, butter, etc. Find out your ideal weight for your height. You can find this out from your doctor, on the Internet, or from textbooks. If you are more than ten pounds overweight you are at risk of type II diabetes. Cholesterol lowering drugs have become the new kick in America, with more people taking these drugs than not. Recently, some of these drugs were removed from the market as they had no demonstrable effect on lowering heart disease, and had demonstrable effect on causing cancer. In my opinion, and others like me, cholesterol is not the bad guy in the first place. Keep in mind that cholesterol is a necessity for survival. Also keep in mind that your body will manufacture far more cholesterol than you would typically consume on a normal diet. Eggs have gotten a bad rap for years being a terrible food because of the cholesterol content. Well, first off, only the yolk contains cholesterol, so if you are really concerned, you can toss out the yolk and eat just the white, which is pure protein. Secondly, there is a compound in egg yolks, (lecithin), which prevents much of the cholesterol in the yolk from elevating your cholesterol. 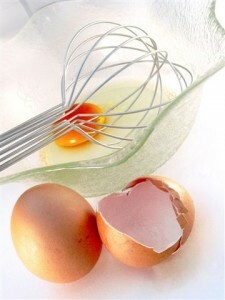 Eggs are best consumed either raw or poached, as the high heat of a frying pan can chemically alter their structure. If you must scramble them or make an omelette, use very low heat. Another food which has gotten a bad rap is coconut. 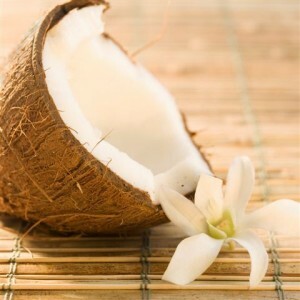 Coconut, although high in saturated fat itself, seems to actually lower serum fat when ingested. Studies done on people in regions where coconuts are a large portion of their diet, have low levels of heart disease. Coconut is also very high in fiber. Using grape seed oil has been purported to be beneficial for lowering blood pressure. This is inexpensive and can be found in the oil isle at the grocery store. Grape seed oil supplements however are not inexpensive. Salt has been unfairly accused of being bad for you and many people avoid salt, even those with normal blood pressure. The fact is that salt is necessary in some amount to sustain life. While it is true that the American diet is typically abusive with salt intake, largely from fast food and prepared foods, once a healthy lifestyle is assumed, normal salt use is necessary. I recommend the use of sea salt as it contains several minerals that are beneficial for overall health as well. Eat a few servings of nuts daily, including almonds, walnuts, pecans, hazelnuts, Brazil nuts, cashews, pistachios, and avoid large quantities of peanuts, (these are legumes, not nuts). Eat only raw or shelled and avoid cooked or salted nuts. 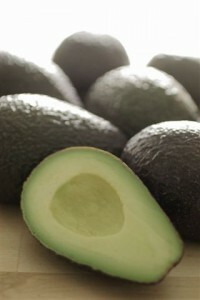 Eat 1/4 to 1/2 avocado daily. Eat several servings of raw or very lightly cooked green leafy vegetables daily (keep in mind that as cooking time goes up, nutritional value goes down). This is a good rule of thumb for all foods as cooking obliterates nutritional value. Replace your table salt with sea salt. Learn to read labels of the foods you buy. Avoid “diet” foods, “low fat” foods, “Replacement” butter, prepared foods with nitrites or nitrates, etc. These things are typically very bad for you. As the quality of your diet lessens, I do recommend at minimum supplementation daily including a complete vitamin & mineral supplement, including B complex. Fish oil, (or krill oil) is high in omega 3 fatty acids, an essential fat necessary for life. The word “essential” means that your body cannot manufacture it, thus you must obtain it from your diet. If you use flax, buy fresh flax seed and grind it just before consuming, otherwise you wont be able to absorb it. Don’t eat fried foods at all. Don’t eat prepared foods and dressings. Don’t use table salt, use sea salt. Don’t assume that buying “diet” or “low or no fat” products are healthy. They usually are worse for you than the non-diet variety. Limit sugar and sweets use. If diabetic, you need to stop altogether Juices and juice drinks, alcohol and items sweetened with corn syrup all count as sugar. “Juice drinks” are worse for you than pure juice as they are sweetened artificially, with many additives. Don’t disregard daily vitamin, mineral and omega 3 essential fatty acid supplementation. As a rule, if it is advertised on television as a new and healthy meal, there is near 100% chance it is bad for you and unhealthy. As another rule, if God didn’t make it, and/or it doesn’t rot in a week on a shelve, then its probably not good for you and you shouldn’t be eating it. The information and guidance offered here is an opinion based on the body of evidence available at the time of this writing pertaining to nutrition. If you have been told something different by another physician or health care provider, you should discuss why with them. This information is not suggesting a cure for any specific disease or condition, it is presented simply as guidance for healthy eating, which has been purported when combined with a healthy lifestyle, i.e. exercise, as the single best method of disease avoidance. I recently found a website that allows you to easily keep track of the foods that you eat, and it automatically tallies your total calories, protein, fat and carbohydrates for each meal and for the day. It also calculates your dietary needs based on your height, current weight and level of activity. I find it actually very useful for anyone who is health conscious, or just trying to drop some pounds. The site is www.myfitnesspal.com. I have also “shared” my “food diary” so that if you are so interested, you can see what I eat. People with poor dietary habits will find this useful so that they can make better food choices, something probably unfamiliar to them. For more information and a much more comprehensive look at nutrition and healthy eating. I would STRONGLY recommend Dr. John Berardi of Precision Nutrition. His site is full of good information.